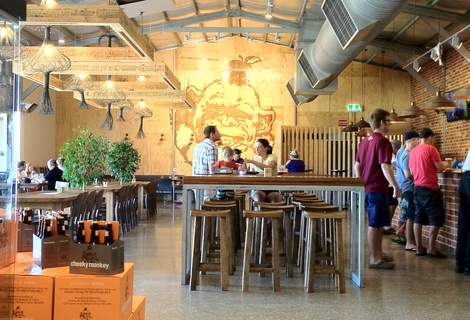 Laid back, family friendly brewery in the heart of The Margaret River Wine Region. 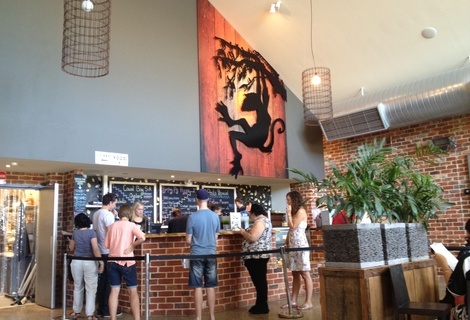 Cheeky Monkey Brewery & Cidery was reviewed on Monday 1st April 2013 12:40 by Richard. I think it’s absolutely great that as time goes on the iconic Margaret River wine region is starting to diversify its offerings to tourists and locals alike. 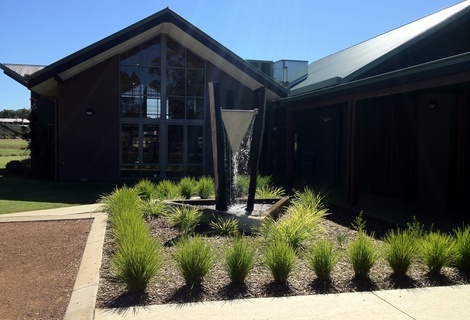 Just a few years back you’d be hard pressed to find anything other than a winery or art gallery south of Yallingup. Now there are soap factories, nut factories, cheese factories, chocolate factories, olive oil manufacturers, game meat purveyors and most importantly a shed load of new breweries, providing the wine soaked region with a much needed oasis of freshly brewed liquid gold. 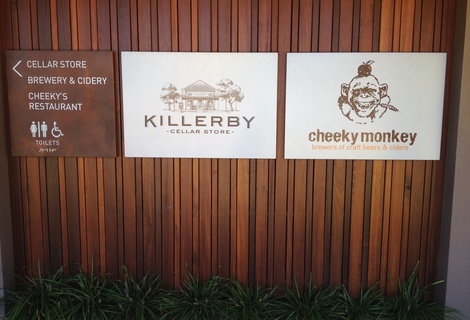 One of the newest of the lot is Cheeky Monkey Brewery and Cidery, just off Caves Road in Wilyabrup (approx a 25 minute drive south of Dunsborough). My girlfriend and I stopped in for a brew and some lunch before tackling the horrendous post-long weekend traffic back to Perth. 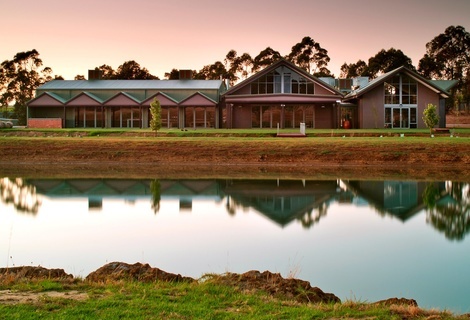 The brewery is located in a newish looking building overlooking a dam surrounded by a huge grassed area. The interior is great, wide open spaces, high ceilings, plenty of seating and a decent amount of primate orientated decor, paying homage to the establishment’s name. 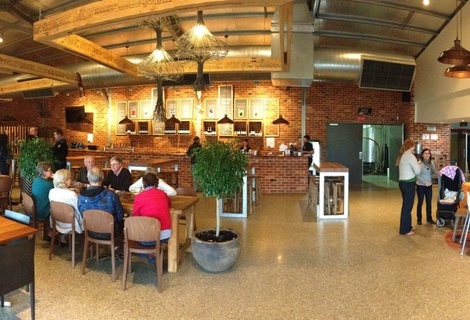 The whole place has a relaxed vibe to it, a nice change from some of the wineries’ posh atmospheres. You also can’t help but notice that the place is very kid friendly, there’s a massive playground area off to the side of the building that’d rival most park playgrounds in Australia. I think it’s a great idea for people with kids, let them tire themselves out on the play equipment while mum and dad sample some quality, freshly brewed beers and ciders. Not so great if you’ve left the kids back at home and are away for a quiet couple’s weekend. A waitress showed us to our table and explained the laid back food and drinks ordering process. All staff were friendly and service on the whole was good. 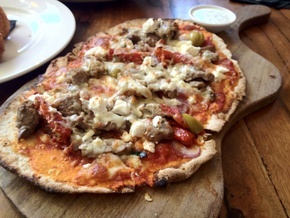 The menu has a interesting selection of tapas and mains, including a good range of pizzas. We went with the aptly name cheeky monkey pizza; slow roasted Moroccan lamb with a bunch of other delicious toppings (rosemary, sun dried tomatoes, feta), the grilled chicken club sandwich and a side of potato & chorizo bombs. I went to the bar to grab a few drinks while we waited for our food and was met with quite a decent selection of beers and ciders. I went with the Hatseller, a kiwi pilsner packed full of flavour courtesy of a blend of 100% New Zealand grown hops, and an apple cider for the Mrs, a bit too sweet for me but she really enjoyed it. The meals came out within 15 minutes, quite impressive considering the place was packed. 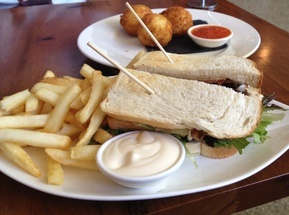 The chicken in the club sandwich was delicious and together with the bacon and salad made a near perfect club sanga. Only complaint with the dish was that the chips were slightly undercooked. The potato 'bombs' were delicious, the potato was light and fluffy and the chorizo bits gave them a nice kick of spice. The pizza however was the clear standout amongst the three. The slow cooked lamb was tender and well seasoned and the base was perfectly thin & crispy and the addition of the tzatziki on the side was genius. The next time you’re in the region with the family I highly recommend dropping in for a good value lunch or even a cheeky brew or two. If you happen to head down on the weekend, it’s probably best to make a booking. We rocked up just before 12 without one and luckily snagged one of the last remaining tables inside.